Eva Cordero is a rising senior at Amherst College, where she majors in Political Science, with a concentration in Race and Politics. A native of Berkeley, California, Eva is interested in how politics shape identity, particularly how the state influences racial formation. Her summer research project examines the geographic, social, and political context of one Puerto Rican community and its relationship to the self-reported racial identity of its community members. Eva also enjoys listening to music, eating, and binge-watching Netflix. 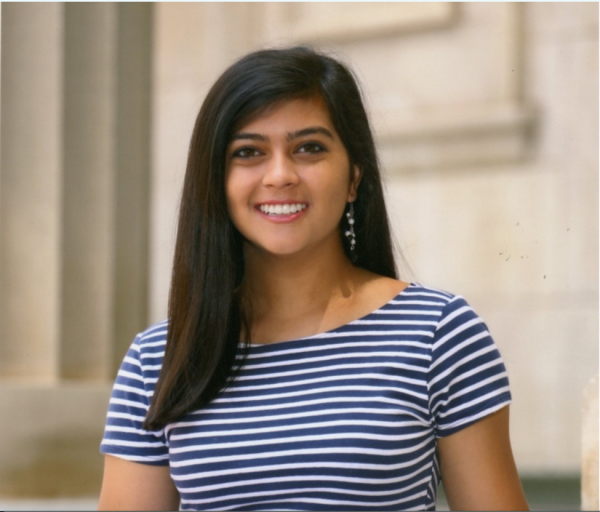 Katrina attends Williams College, where she double majors in History and Women’s, Gender, and Sexuality Studies, with a concentration in Latinx Studies. 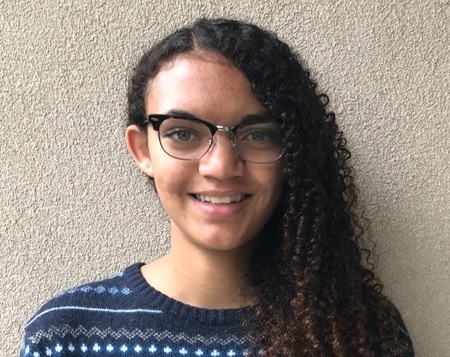 A rising senior from North Port, Florida, Katrina is interested in the historical role of visual imagery in constructing ideas about race and gender. In her summer research project, Katrina argues that in using an Afro-Nuyorican woman to symbolize the Puerto Rican nation, the comic book La Borinqueña challenges traditional notions of Puerto Rican nationalism, which have historically excluded diasporic- and Afro-Puerto Ricans. When she isn’t conducting research, Katrina spends her time reading comic books, getting caught up on her favorite television shows, and looking at and collecting memes. Genie is a student at Amherst College, where she is a rising junior. She is originally from the Bronx; and this summer, Genie is working with Professor Van Tran on a project entitled, “Cultivating Self-Determination: A Case of an Urban Farm in the South Bronx.” In her spare time, she enjoys playing field hockey. Zofia is a rising Junior at Bates College. She is double-majoring in Economics and Classics with a minor in History. Originally from Palo Alto, CA, Zofia’s research interests include multiculturalism in the ancient Near East, snakes in ancient mythology, and prose of the Early Roman Empire. Outside of academics, you’ll find Zofia reading, writing, playing the clarinet, or hiking. 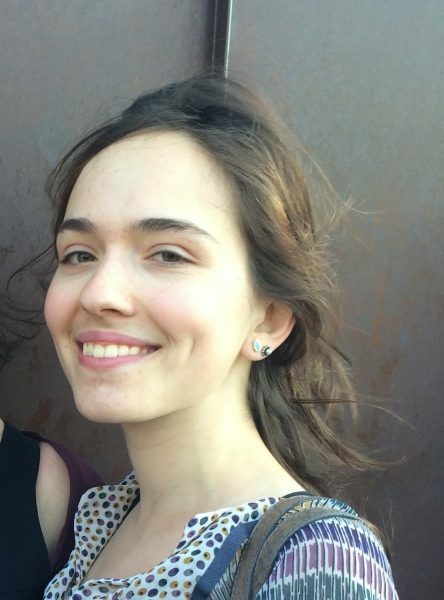 Julia attends Amherst College, where she majors in English, with a concentration in Digital Humanities and Creative Writing. 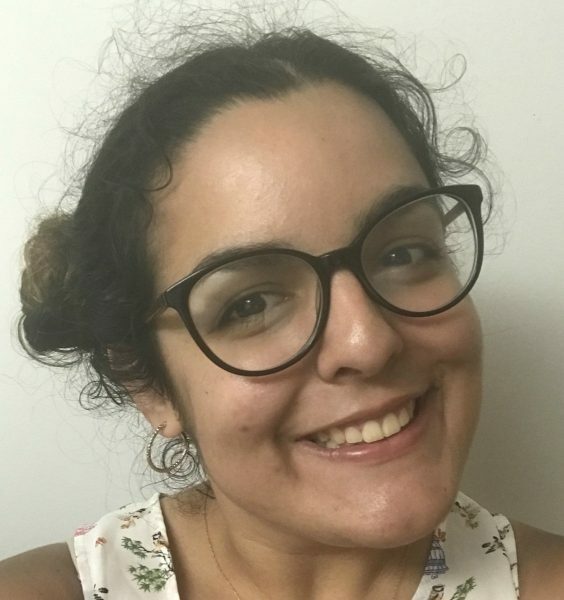 She is also pursuing a Latinx Studies certificate and has conducted research on gender and race in the Southern Cone and examined representations of Latinidad in North-American pop culture. At UC Berkeley, Julia’s research compares print and digital documentation of diaspora. She focuses on individual testimonies from the Holocaust and the crisis in Syria, asking how the digitization of narratives affects collective-memory formation. Raised in New York City, Julia enjoys rambling, psychoanalyzing things, wasting time on Instagram, playing frisbee, embroidering, and eating dark chocolate-covered almonds. A student at Amherst College, Davey majors in Political Science with a concentration in Science and Technology Studies. In the “D-Lab” at UC Berkeley, he is researching the ethics and narrative surrounding digital technology and human-AI interactions. Back at Amherst, Davey and his fellow Mellon Scholars are curating electronic and interactive art installations for their upcoming exhibition titled “Senses in Motion.” In his free time, he enjoys watching animated films and dreams of touring Pixar Animation Studios. Davey has made several failed attempts to visit the Pixar studio, but he has not yet lost hope. 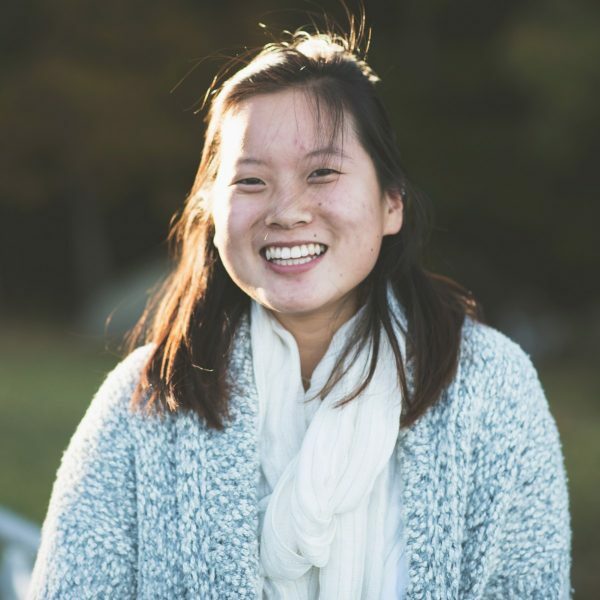 Originally from Falmouth, Maine, Grace is a rising junior at Williams College, where she double majors in Sociology and Psychology, which allow her to deepen her knowledge of people’s subjective relations to society. Grace’s summer research project focuses on the experiences of Asian-American women in college hookup culture and how this impacts their navigation of intimate relationships. Grace manages the Facebook page, “Humans of Williams,” and sings with the Williams College Ephlats. In her free time, she enjoys photography, playing and listening to music, brewing tea for others, and sharing stories. A rising junior at Bates College, Kayla is originally from Metuchen, New Jersey. She majors in Philosophy with a concentration in Gender and Sexuality Studies. 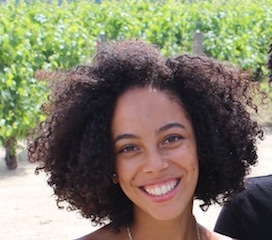 Kayla’s research examines universal lawmaking, grooming policies, and how fixed definitions of race, mutability, and discrimination impact the agency of black women and their presentation. Kayla is on the Brooks Quimby Debate Council and enjoys writing poetry. Amosh Neupane attends Middlebury College, where he is a rising senior studying Sociology and Anthropology with a minor in Religious Ethics. 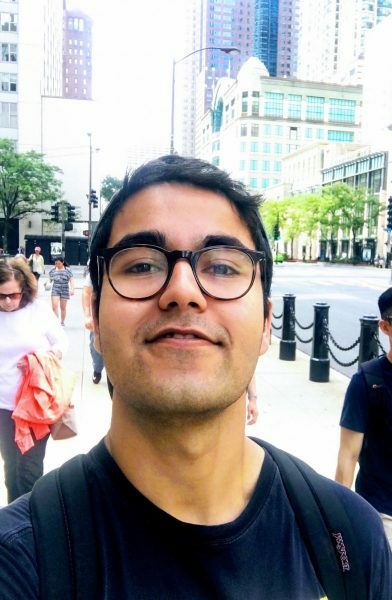 At the University of Chicago, Amosh is researching the proliferation of hospice care in American prisons, the growing prison reform movement, and the implications of “prison humanization” projects. Originally from Nepal, he spends his breaks in New York City, where his family now lives. When in NYC, you can spot him reading on the subway, eating South Asian fare in Jackson Heights, walking on/around the High Line, or hibernating in his parents’ apartment. A self-proclaimed “Jack of most trades, master of none,” Amosh has been involved in a plethora of Middlebury activities – sometimes fleetingly, other times for an extended period – over the past three years. To this day, he most enjoys reading, which has been his favorite hobby for as long as he can remember. Pascal is a rising junior from Miami, Florida. He is a Breakthrough and Posse Scholar at Hamilton College, where he majors in Africana Studies. This summer, Pascal is conducting research on Miami youths’ motivations for community involvement. 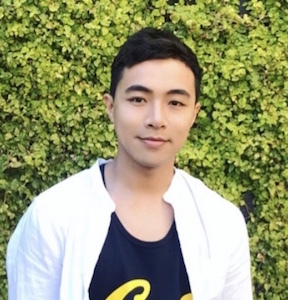 He plans to attend graduate school after graduating in May 2019. A Presidential Scholar at Davidson College, Simrun majors in Sociology and minors in Health and Human Values. 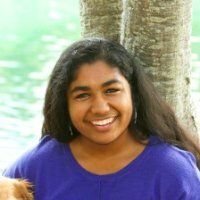 She is a native of Atlanta, Georgia and is interested in race, religion, social inequalities, and health outcomes. Simrun’s research examines how the accusation of “acting white” impacts individuals’ mental health. She is on the executive board of the Muslim Student Association, a member of Rusk Eating House, and part of the club tennis team.